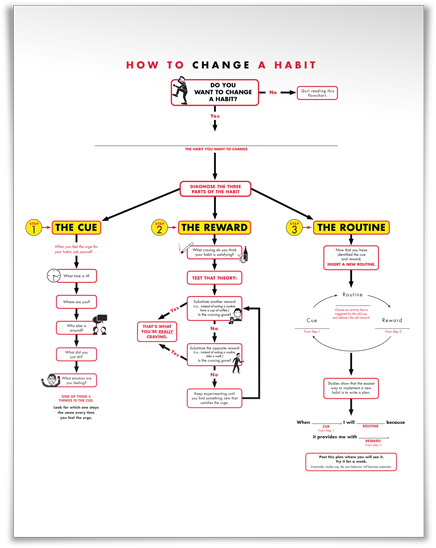 In The Power of Habit, Charles Duhigg takes us to the thrilling edge of scientific discoveries that explain why habits exist and how they can be changed. 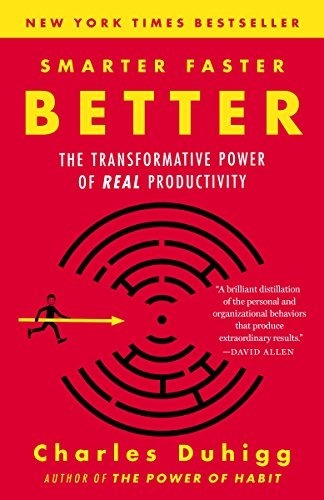 Distilling vast amounts of information into engrossing narratives that take us from the boardrooms of Procter & Gamble to sidelines of the NFL to the front lines of the civil rights movement, Duhigg presents a whole new understanding of human nature and its potential. 9. THE NEUROLOGY OF FREE WILL Are We Responsible for Our Habits? 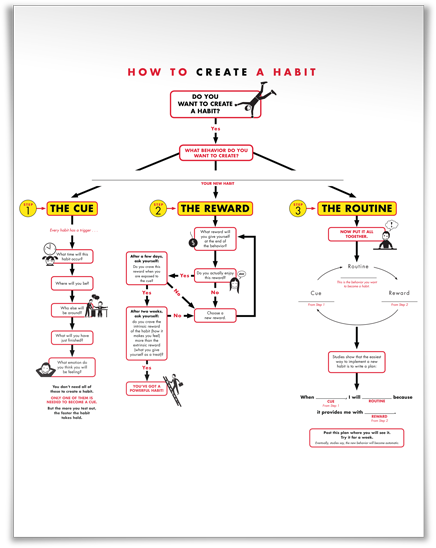 The appendix: A Readers Guide to Using These Ideas, provides a useful framework for breaking down a bad habit and gives good examples of how the reader can determine their own habit cues and rewards. For those who haven’t read these concepts before, breaking down behaviours into cues, responses, rewards can be difficult so the examples provided are very useful. The book provides a useful summary of cues into five categories: location, time, emotional state, other people and immediately preceding the action. In addition to the book, Charles also provides useful resources on his website that compliment the book. All items are downloads with the exception of those noted as videos. You can access these resources by providing your email address. You do not need to purchase the book to access the resources. 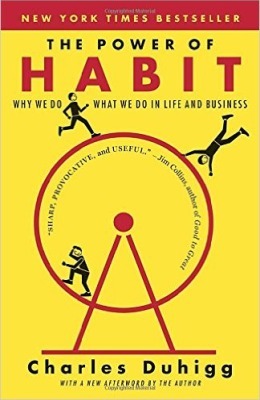 The most important points of habits were discussed in the first few chapters. For anyone who has studied a psychology undergraduate degree, the theories of Pavlov will feel familiar, though the author doesn’t refer directly to Pavlov’s theory. If this book sounds interesting to you, it can be purchased from Amazon. You can also view the contents pages and a few of the introductory chapters in the sample. 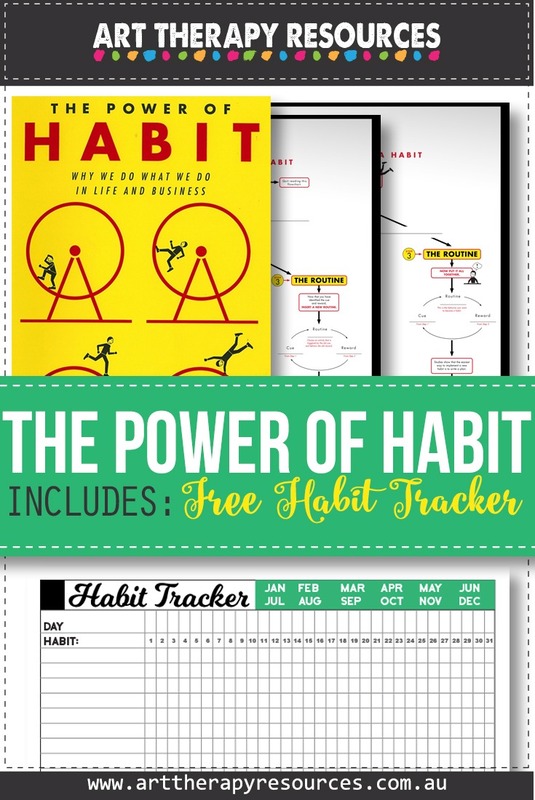 SIGN UP below to download the FREE Habit Tracker. 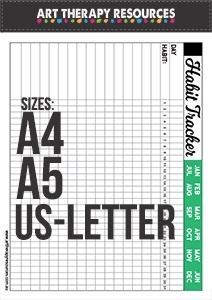 File contains A4, A5 and US-Letter sizes.